From shared office space to private offices to meeting rooms, large and small, CORE21 provides all the business amenities you need plus an intangible - a collaborative, friendly atmosphere from a growing community of more than 30 businesses and community groups making us their home. Come in and find out what makes us special. 21 Simcoe Street South in the heart of downtown Oshawa is home to Core21. This beautiful two-storey, fully renovated building was specifically designed to provide a shared business facility in a friendly community setting. Book a tour today and find out how we can satisfy all of your needs from mail service to private offices to meeting rooms to event rooms, and everything in between! 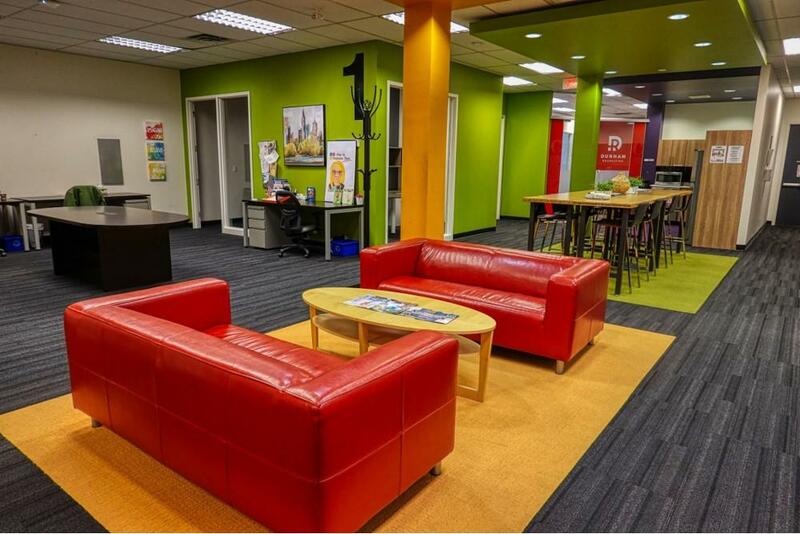 We offer a wide variety of cheerful, energizing workspace options that encourage productivity, interaction, and community. If you need more desk space but still want to be part of the vibe of our coworking community, a dedicated desk is what you need. 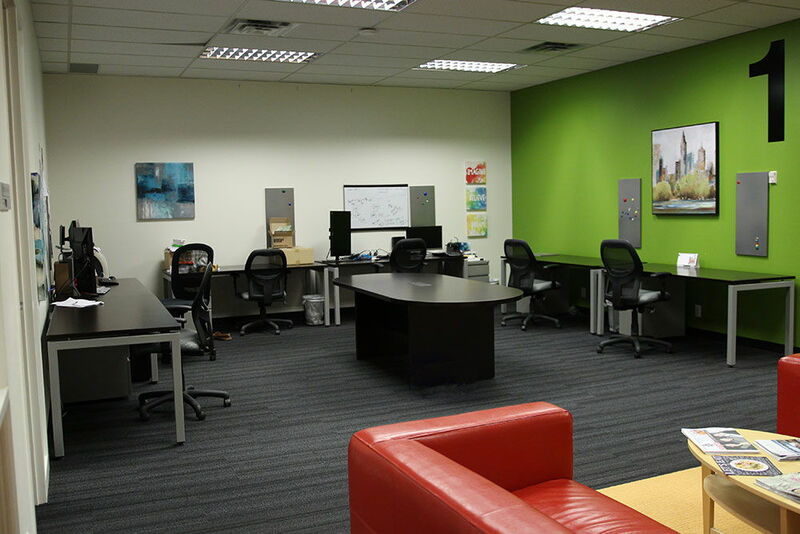 CORE21 has a number of desks around the walls which you can call your very own. Need something a little more private and quiet? Then a private office may be a perfect fit for you. We supply the desk and the space, you supply the business genius. Don't need office space but need a business address? We have you covered there too. We can accept your mail and parcels at our reception. 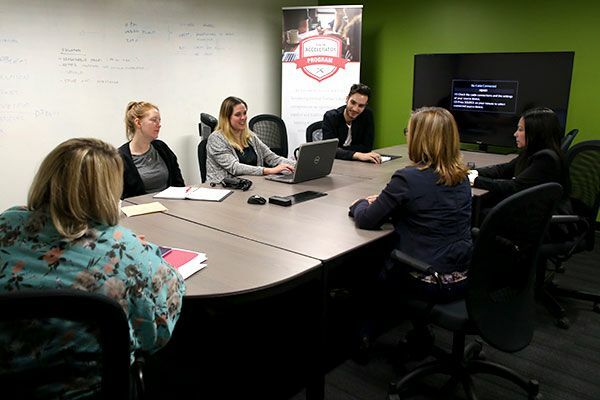 CORE21 offers its clients use of a large meeting/board room perfect for client meetings, interviews, board and staff meetings, conference calls, as well as brainstorming sessions and workshops. 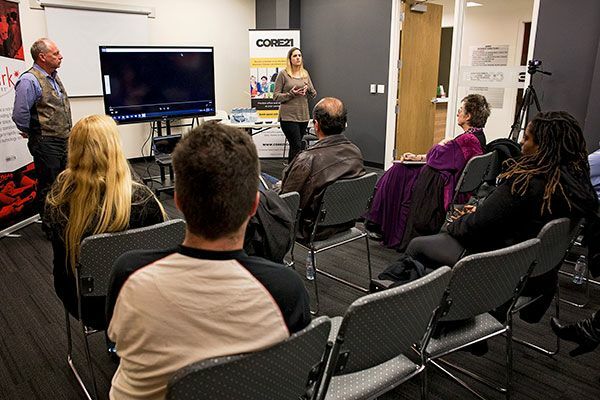 The Event room at CORE21 is available to rent at an affordable rate to host gatherings of a larger scale such as presentations and seminars, educational classes, networking events and more. 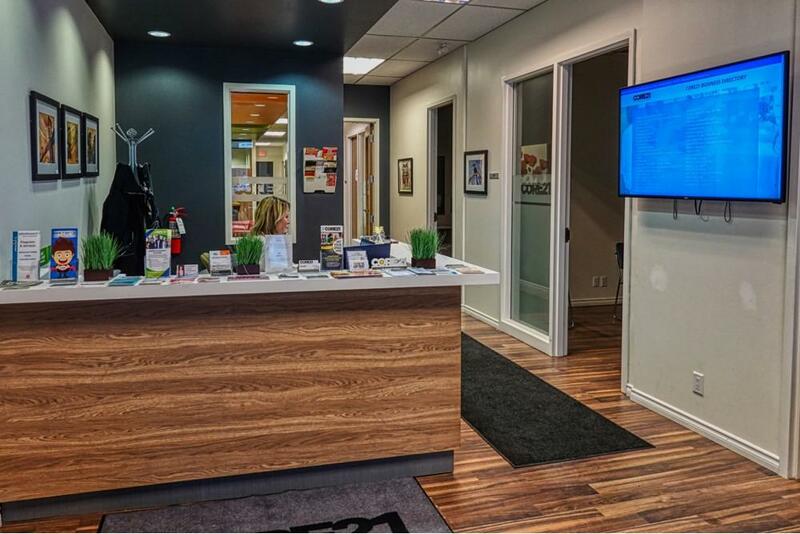 No matter which space you rent, CORE21 provides excellent amenities. We have the business equipment you need plus lounge areas throughout the space where you can interact and catch up with colleagues, friends, and your guests. There is also the Servery and more. 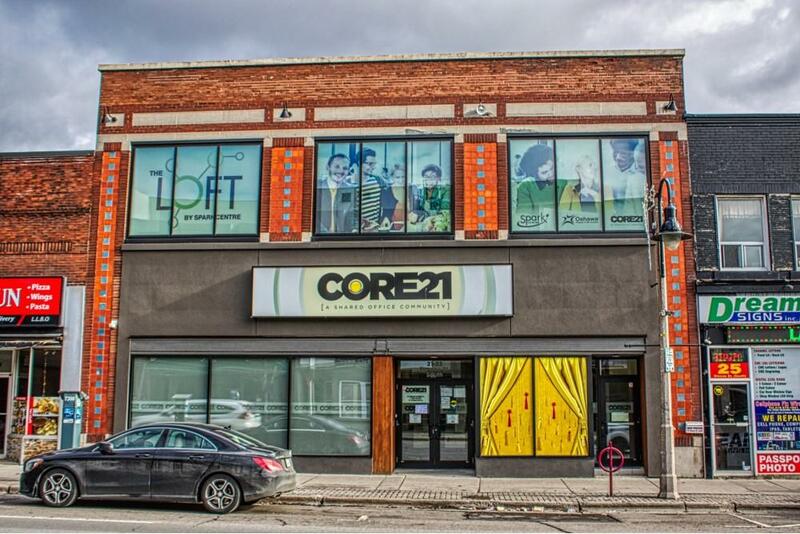 CORE21 is located in the heart of downtown Oshawa and is proud to be home to 30 local business and community organizations. Call our general manager Amy Gazdik at (905) 725-6737. She will answer all your questions and get you setup. Or you can fill out our form and she will get back to you.